Motorola has been one of the leaders in making some of the system apps on its phones available in the Google Play Store. The advantage to Motorola customers is that if bugs in the camera app need to be exterminated, for example, the company can quickly update the app in the Google Play Store, and have it ready to be downloaded and installed. No carrier testing would be required. It is quite a streamlined way of updating a phone. Today, Motorola placed its stock email app in the Google Play Store under the Moto Email name. At the same time, it made some updates to the app which include: Disable sync while roaming, progressive search capability for emails, attach pictures from Camera in composer, notifications for attachment download failures/cancellations, new option "Select All" for email operations, customize peak time sync schedule, new option to choose number of emails to sync for POP account, new safe way of communicating with Google Gmail server using OAuth 2.0, and the usual bug fixes and stability improvements. Motorola's other system apps in the store include the aforementioned Camera, Gallery and Moto Assist. By the way, your Motorola handset needs to be running Android 5.0 or higher in order to install Moto Email. Add more options for those that want a third party email client. I pretty happy with the one Samsung offers! 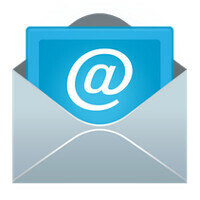 Its keep all my different email address in one convenient app.